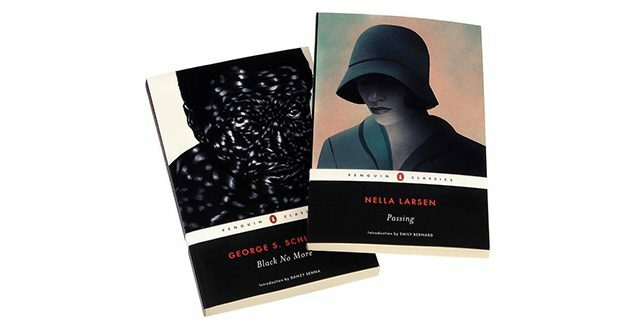 Two influential, if woefully under-read, American classics — George S. Schuyler’s “Black No More” (1931) and Nella Larsen’s “Passing” (1929) — have been reissued in handsome new editions in time for Black History Month. This is excellent news for readers, but I imagine the authors, both famously ambivalent about causes of any kind, would have greeted the news with some exasperation. They were contemporaries with little in common. Schuyler was prolific, pugnacious and very much in the public eye; Larsen was recessive, and vanished from literary life after publishing two novels and a few stories. Schuyler’s obituary appeared in the major newspapers; Larsen was buried in an unmarked grave in Brooklyn. But they were both deeply wary of allegiances, racial or otherwise. Schuyler, in particular, was the king of contrariness. “I used to tell people that George got up in the morning, waited to see which way the world was turning, then struck out in the opposite direction,” his friend the historian John Henrik Clarke once recalled. He was a socialist turned right-wing reactionary who deplored Martin Luther King Jr., opposed the Voting Rights Act (“another typically American attempt to use the force of law to compel the public to drastically change”) and toured Africa advocating for colonialism.